First, let me explain what luxury is. Luxury is above the norm, not normal, exceeds expectations and standards, custom, comfort, quality, against the grain, not the status quo, unique, one-of-a-kind, limited, the 1%. If you think about it, this description of quality stands true for brands and companies such as Loius Vuitton, Gucci, Lamborghini, Ferrari, etc. As opposed to the other end of the luxury spectrum of the department store brands and/or mass produced products. 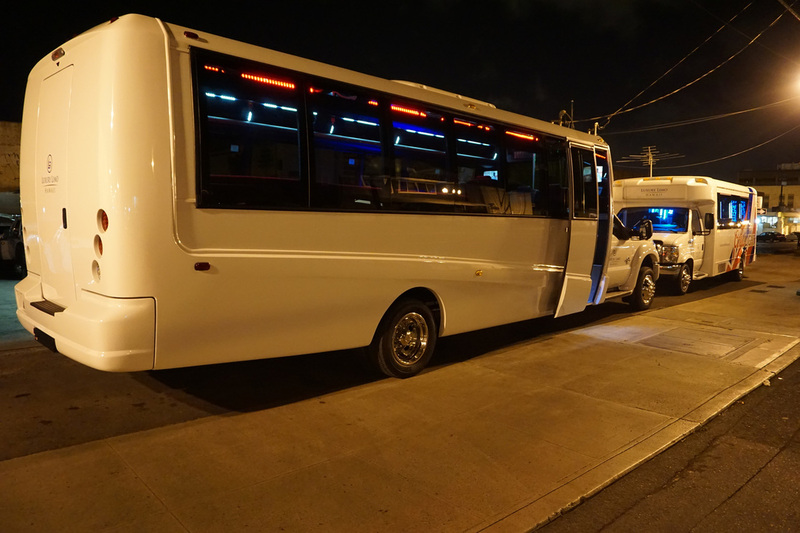 Our Luxury Hawaii Party Bus Fleet is just that, luxury. We have Oahu's finest, modern, one-of-a-kind, head turning, party on wheels limo busses that stands in a category by itself. We roll Hawaii in 2 party buses. Yes, just two because they hold its value. We're not saturated and mass produced like others out there. Think Maserati of party busses. That's all that you need to know because no other words can explain our party busses, you just have to experience them. Call us at (808) 725-3028 to book soon. *Availability is limited because of high demand. Book ASAP!